AND I, and many others, are being able to experience much of what physics is explaining. We are each having different and unique experiences here. We each have different beliefs about the nature of reality and how the world works. No two people on the planet have the exact same beliefs. So how can we know what reality is – when we’re all having such different experiences of it. And because we do have free will – it’s important that we have DO the ability to create and live our own unique experiences. I also honor every person’s unique beliefs. I trust that your soul knows what you’re doing here and that you wanted to have certain experiences. The info is based on my studies and my beliefs. Always trust your own intuition about what is “true” for you. 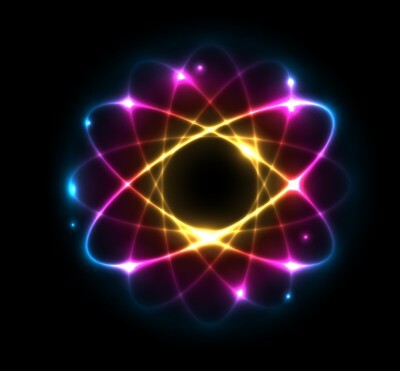 Here are some of the interesting and radical concepts and ideas that are emerging from quantum physics. If we would really get what they are now saying about the nature of reality – our lives would change dramatically!! And it would free us up to have dynamic and fulfilling experiences rather than to struggle or suffer. 1) What physics has discovered is that everything is energy and that this energy is everywhere – in space and in matter. 2) There is no such thing as empty space. It is filled with energy. They’ve discovered dark energy and dark matter (which isn’t in fact “dark” – it’s just invisible, we can’t see it.) The small percentage of “physical” matter that does exist in the universe is also just energy. So, bottom line – everything is energy. 3) All That Is/ Universal Intelligence/God – whatever name you want to call this – is omnipotent, omniscient, and omnipresent. Omnipresent means present everywhere. There is NO place it isn’t. So whatever “Universal Intelligence” is – it is everywhere. 5) What physicists have discovered is this “field” of energy is a field of all possibilities – until an observer measures it or focuses on it. Then particles blink into light or something becomes “form.” (Let there be light.) So consciousness seems to be intrinsically connected with this field of all possibilities. We are literally creating (or co-creating) our own reality along with this energy. 6) This energy seems to be “aware” – it responds to consciousness and is affected by the thoughts or energy of the observer. Physics now says there is no way to prove an objective reality because the observer always affects the outcome of the experiment. 7) Everything is connected. We are all one. Nothing is separate from this field of energy. This is what mystics, spiritual masters, and indigenous people have taught for a long time. So quantum physics is challenging and revising what we have believed about reality. And to me, it’s profound. Some of the concepts come from research in quantum physics. Some of the information is from personal experience, including that which I’ve discovered through my heightened “intuitive” and psychic experiences. Some of this information will be stories from people who have had near death or other unusual spiritual experiences. But all the information will be shared in an attempt to get us to open our minds, to discover that there is more to reality than we’ve previously believed, and to free us up to live our true potentials.